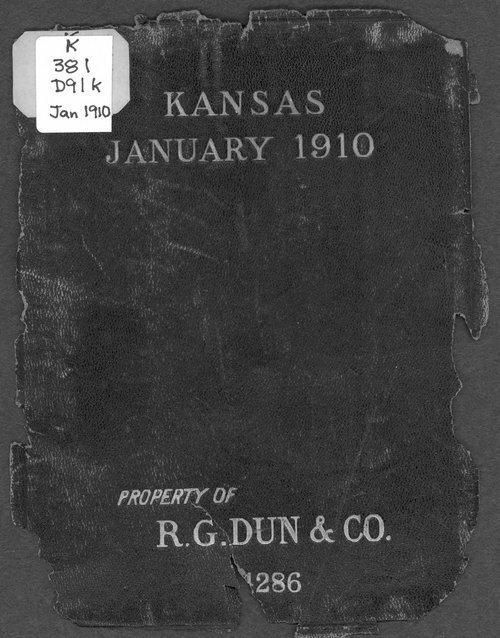 This reference book lists Kansas merchants, traders, and manufacturers by town or city. It classifies the trade of the person or business, estimates their financial worth, and assigns them a credit rating. A key to the classifications and ratings is printed inside the front and back covers. A key to abbreviations appears on page viii. The book also includes a directory of Kansas banks and bankers, a state map, and a summary of applicable state laws.